A website has been created to provide factual details about the upcoming referendum on constitutional recognition of Australia's First People. As a commitment to reconciliation with Australia's traditional owners, the development of the Townsville City Council Reconciliation Action Plan (RAP) has enabled Indigenous issues to be addressed and encouraged the development of positive relationships between local government and Indigenous communities. Under the Council of Australian Governments "Closing the Gap" Agreement, many Australian councils worked towards the achievement of this goal through their commitment and support for the promotion of reconciliation, participation in important Indigenous events and the development of Indigenous policies and Statement of Commitment. Council's Reconciliation Action Plan provides council with a documented framework to ensure that issues and priorities which have been identified by the Townsville Aboriginal and Torres Islander community are addressed in a coordinated manner. The plan outlines a number of priority areas, goals, actions and initiatives. Reconciliation Australia created four videos showcasing how RAPs are coming to life. They chose four initiatives that illustrate great examples of Relationships, Respect and Opportunities. Townsville City Council worked closely with local Elders and local Aboriginal artists to create a reflection area in the local cemetery for Aboriginal and Torres Strait Islander peoples. 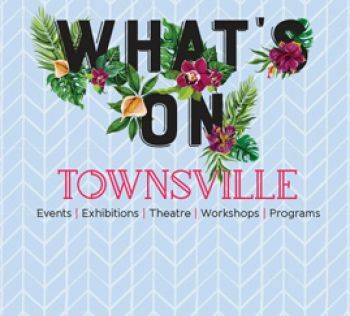 This is a great example of how meaningful relationships with the local community can produce outcomes that the Townsville community can benefit from. Indigenous elders group which works towards preventing social isolation of senior citizens in an informal atmosphere. For more information on services and programs, contact council on 13 48 10.